The event takes place on Saturday, April 28th, 2018. Breakfast starts at 9 AM. Sessions start at 10 AM and end at approximately 6:00 PM. Registration will be available through the SITREG application. Click here to register. 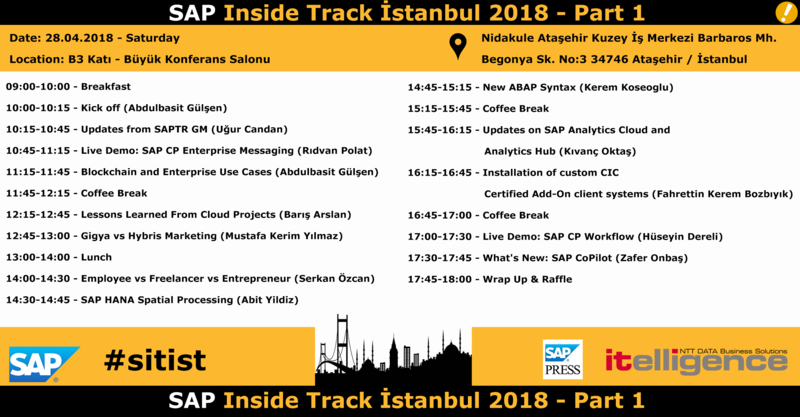 The hashtag for SAP Inside Track Istanbul is #sitIST.